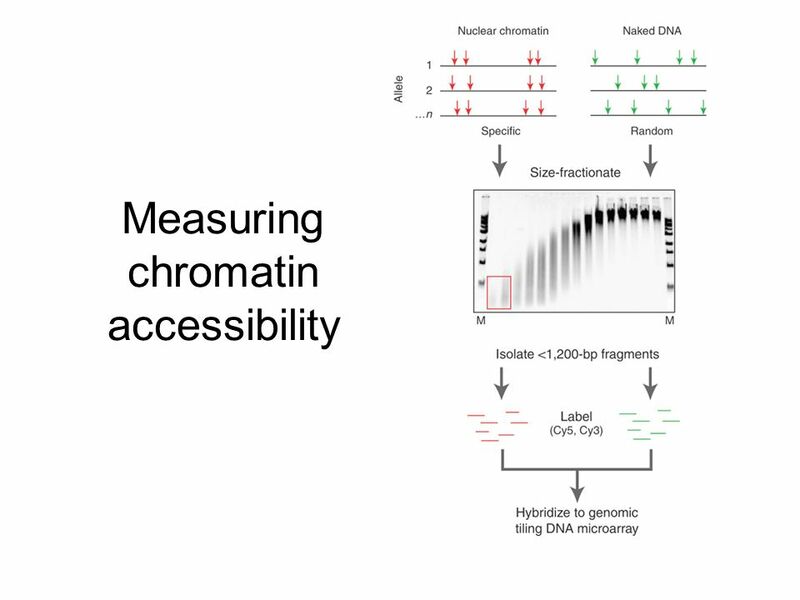 very ^ Open chromatin Closed chromatin Each state contains a single Gaussian. 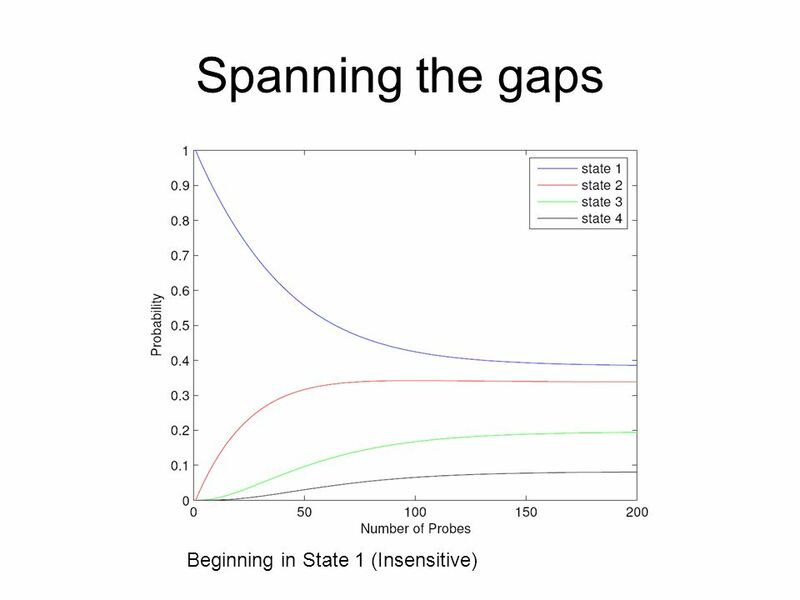 The model has six parameters (two transitions, two means, two standard deviations). 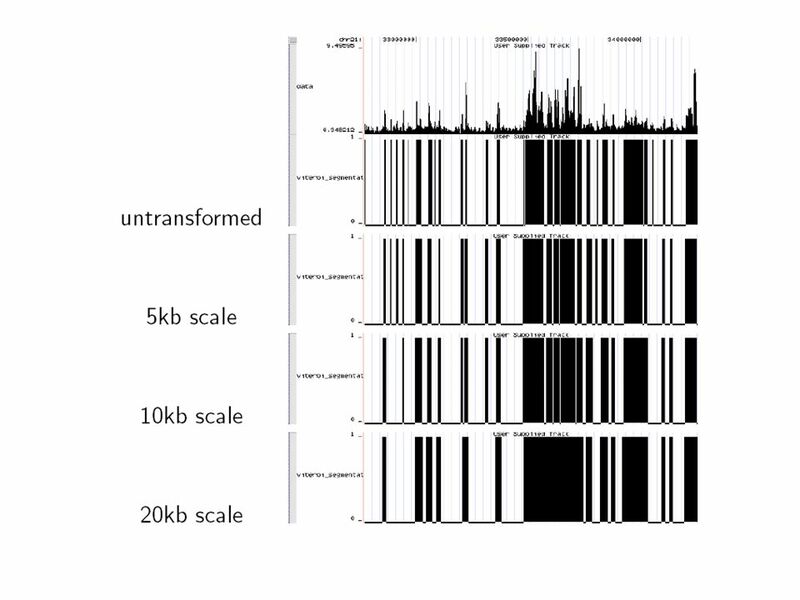 The parameters are initialized randomly and trained in an unsupervised fashion via expectation-maximization. 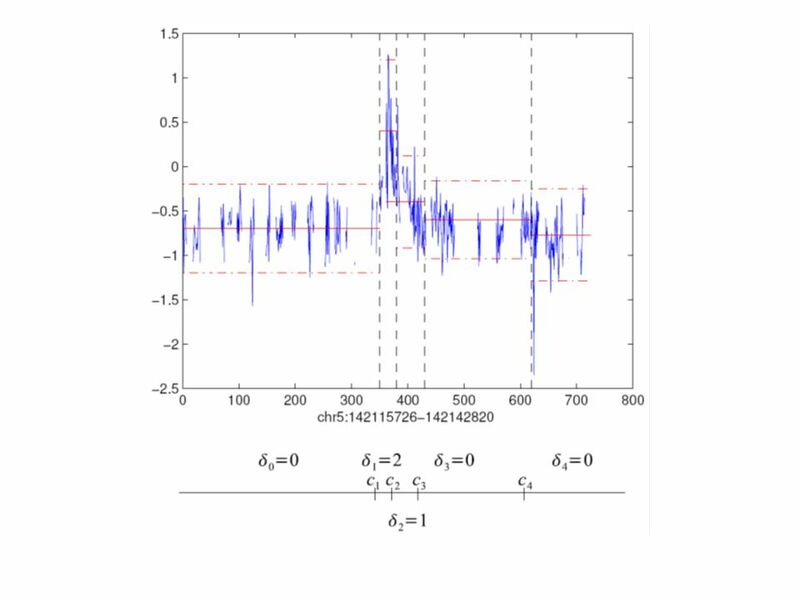 EM is re-started 100 times, and we select the parameters that yield the highest likelihood. 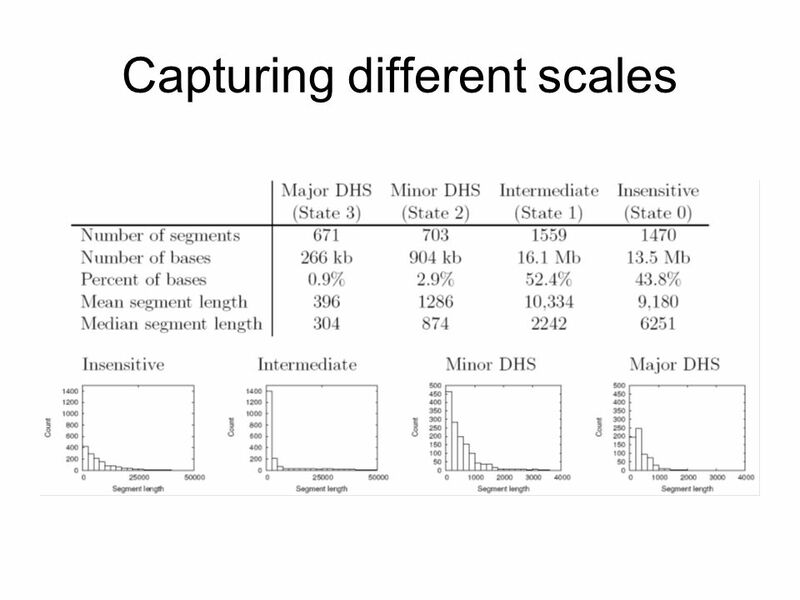 The original data set is then segmented using either Viterbi or posterior decoding. Problem: We are interested in phenomena occurring at multiple scales. 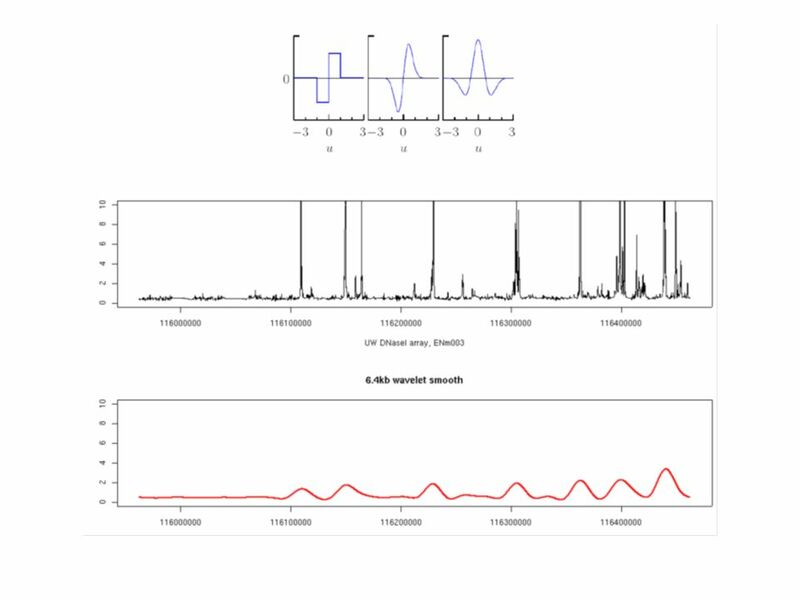 Solution #1: Perform a wavelet smooth prior to HMM analysis. 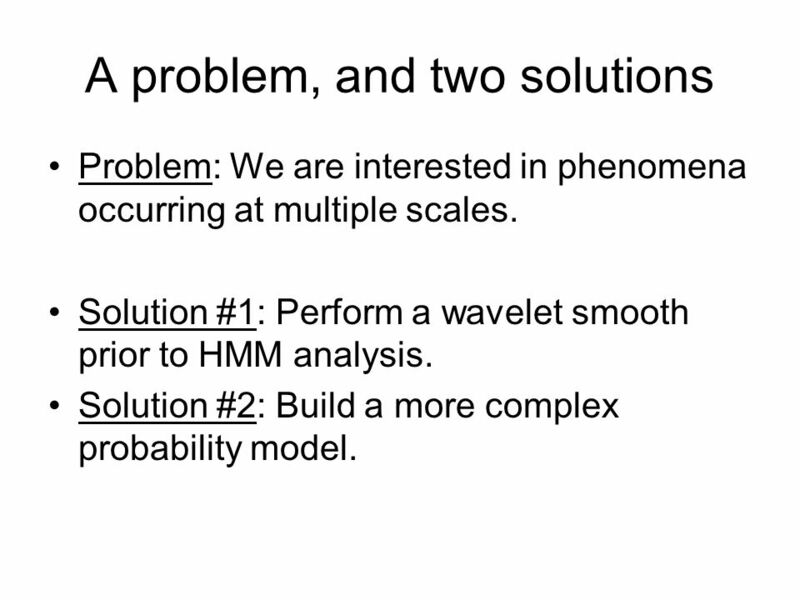 Solution #2: Build a more complex probability model. 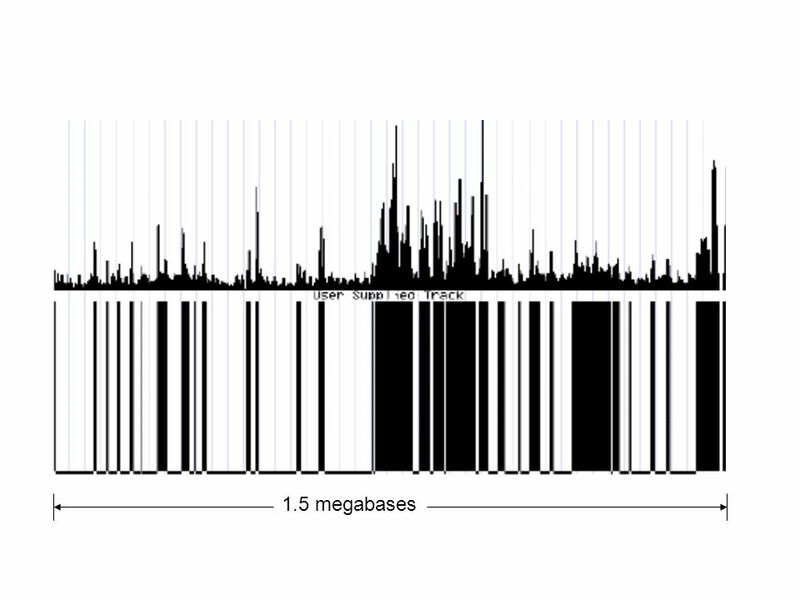 major DNase hypersensitive site (DHS), minor DHS, intermediate sensitivity region, and insensitive region. 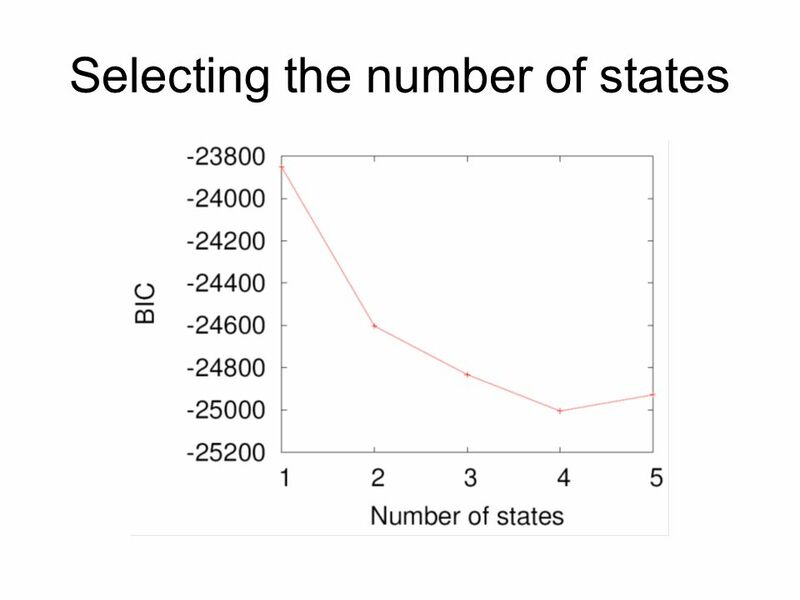 Continuous mixture of Gaussians at each state. Gamma distribution of lengths within each region. 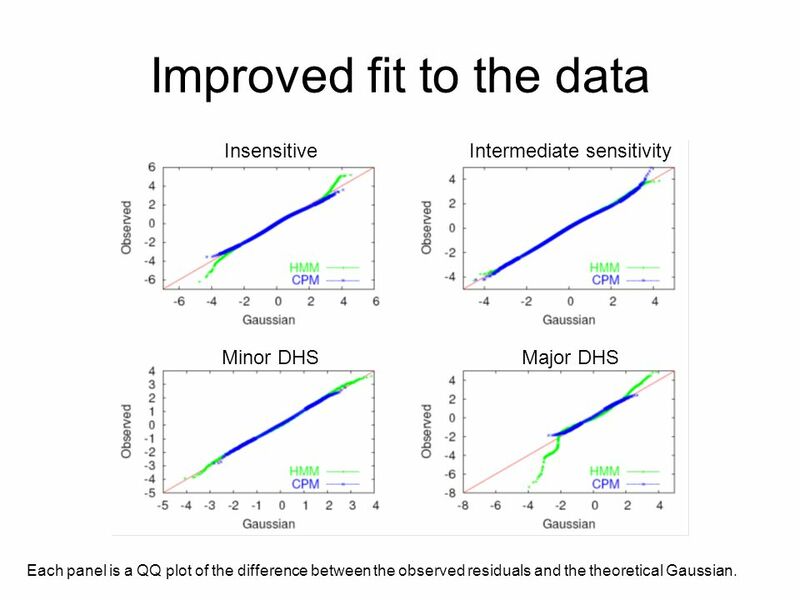 Insensitive Intermediate sensitivity Minor DHS Major DHS Each panel is a QQ plot of the difference between the observed residuals and the theoretical Gaussian. 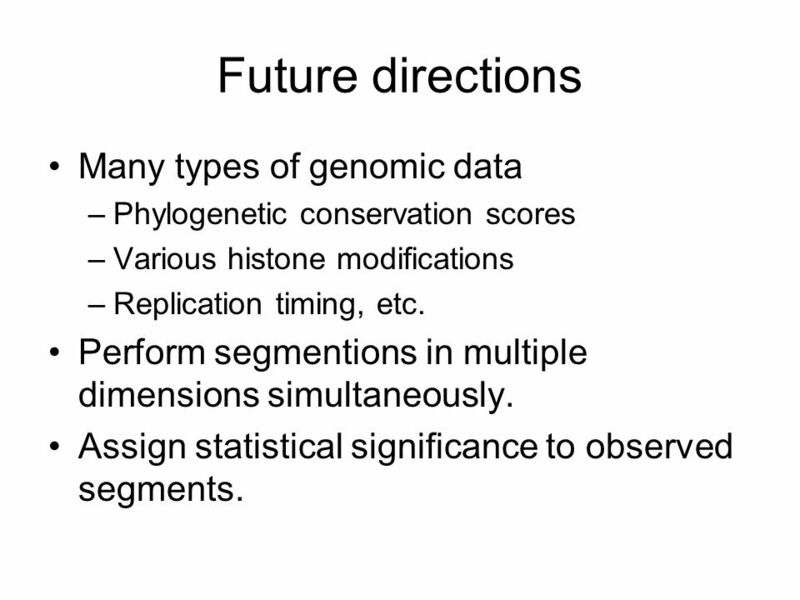 Phylogenetic conservation scores Various histone modifications Replication timing, etc. Perform segmentions in multiple dimensions simultaneously. 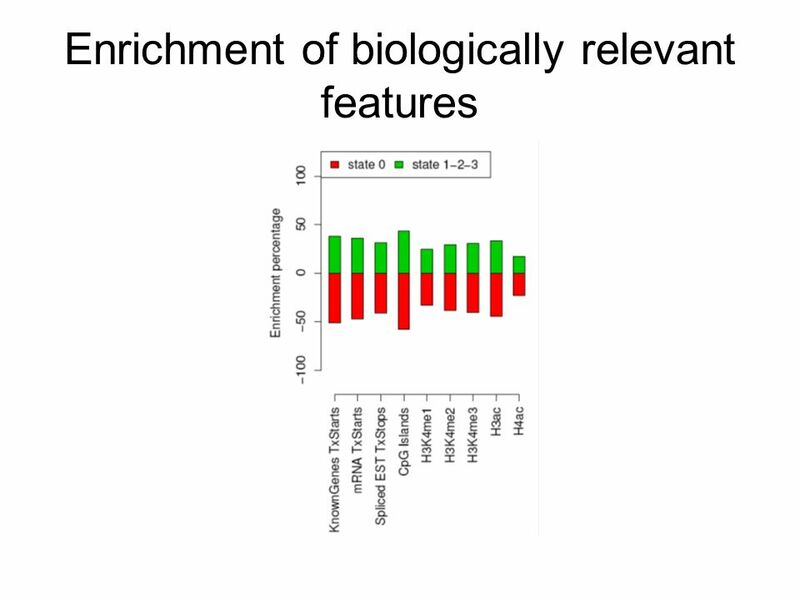 Assign statistical significance to observed segments. 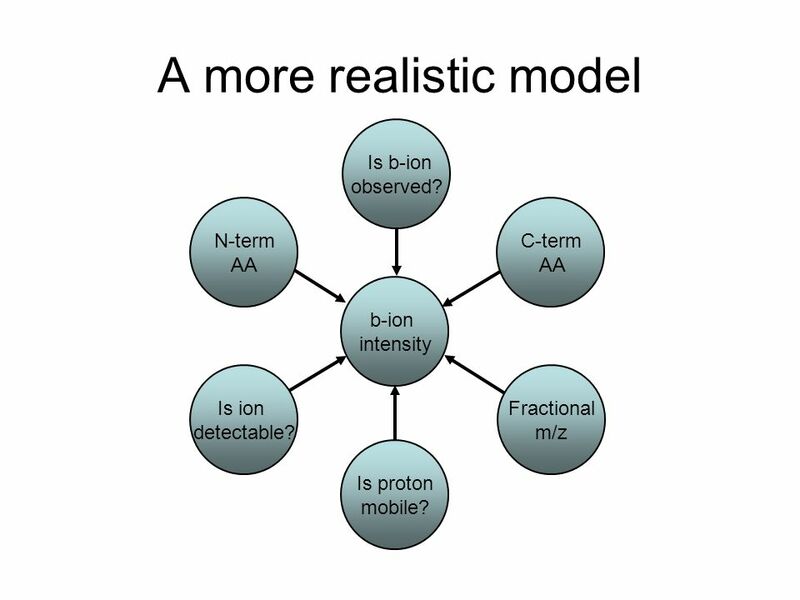 Is b-ion observed? Is b-ion observed? Is b-ion observed? Is b-ion observed? 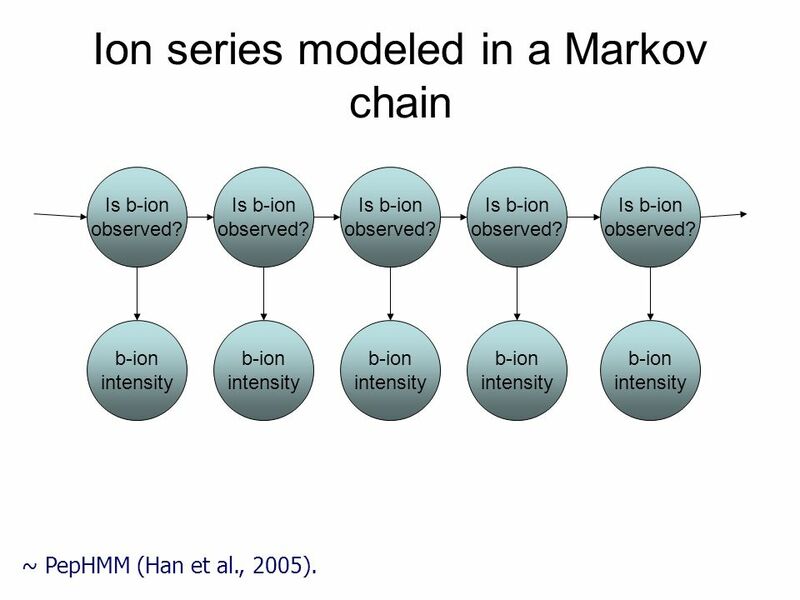 Is b-ion observed? 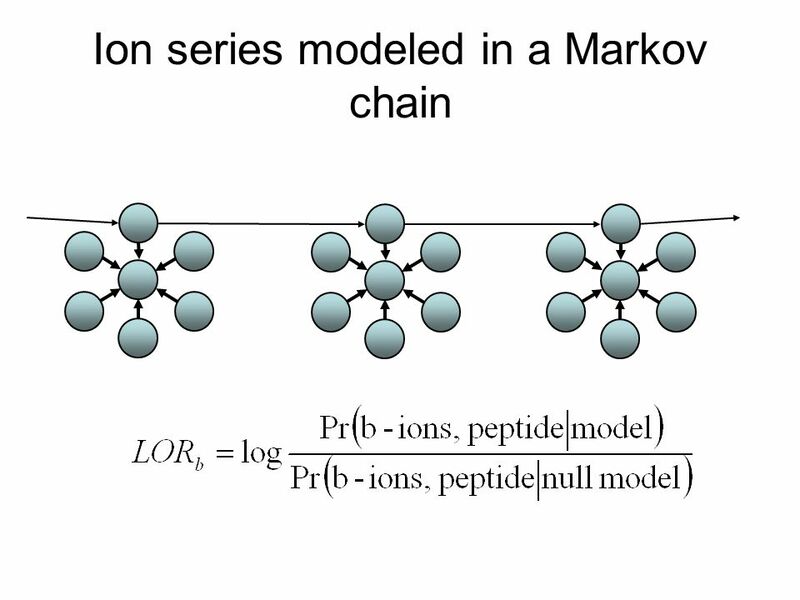 b-ion intensity b-ion intensity b-ion intensity b-ion intensity b-ion intensity ~ PepHMM (Han et al., 2005). 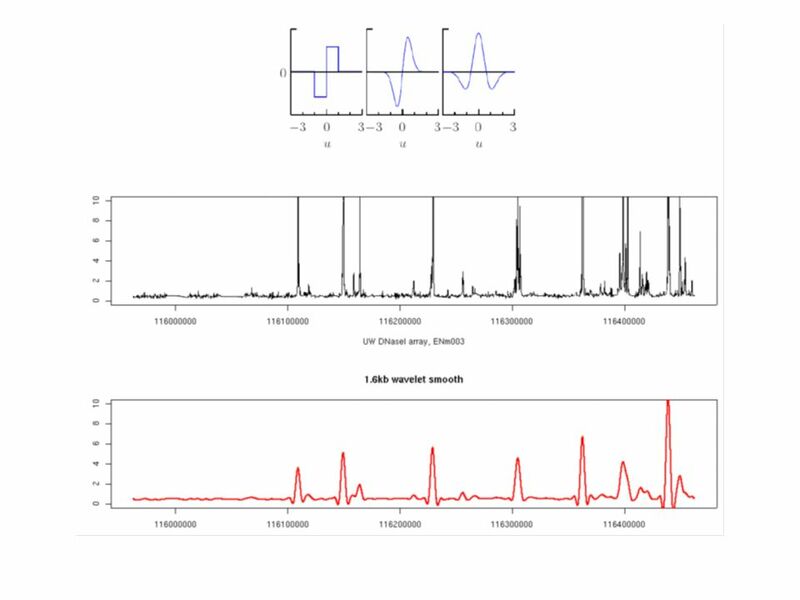 C-term AA Is ion detectable? Fractional m/z Is proton mobile? 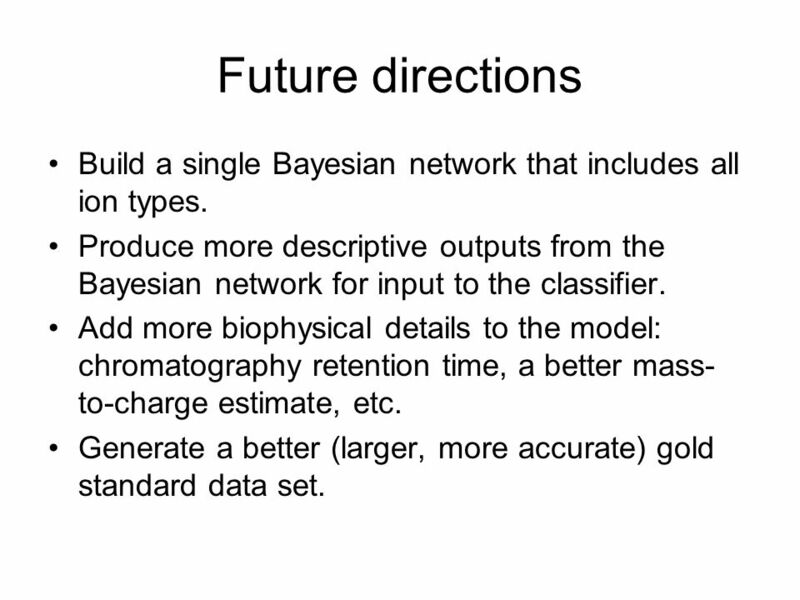 33 Future directions Build a single Bayesian network that includes all ion types. 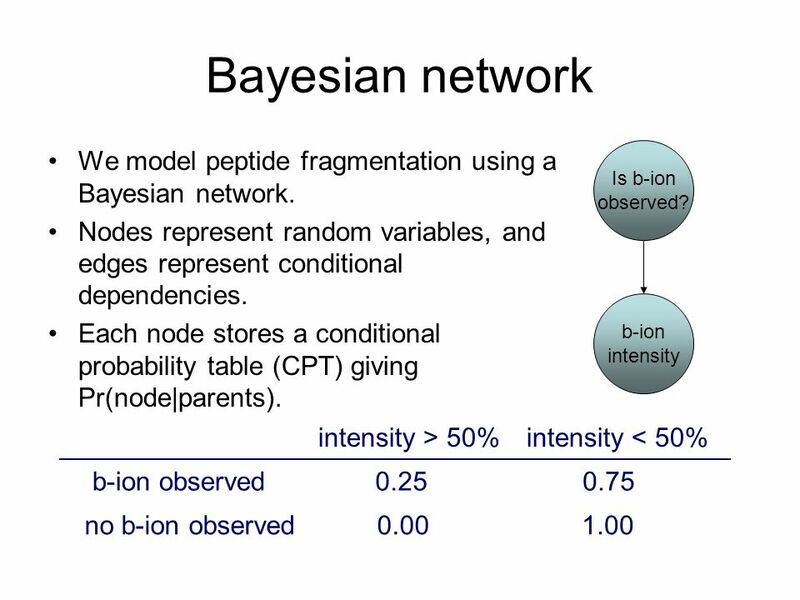 Produce more descriptive outputs from the Bayesian network for input to the classifier. 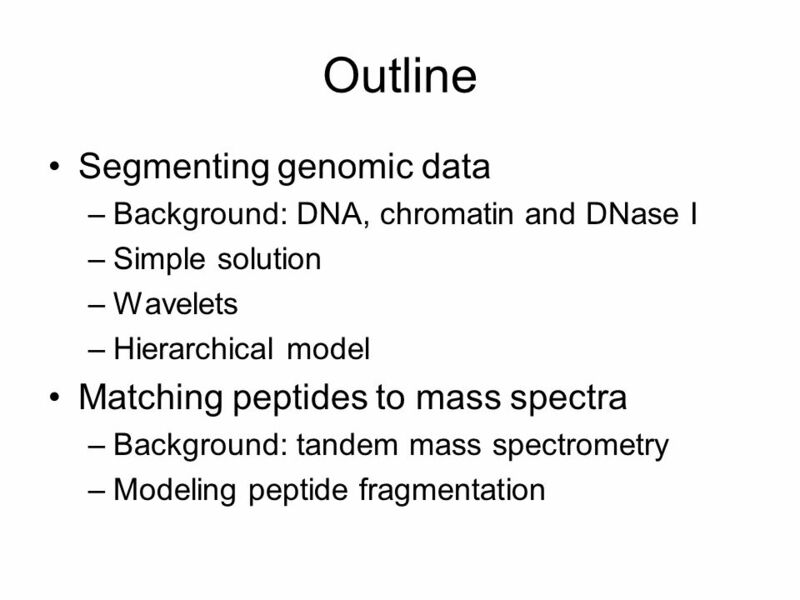 Add more biophysical details to the model: chromatography retention time, a better mass-to-charge estimate, etc. 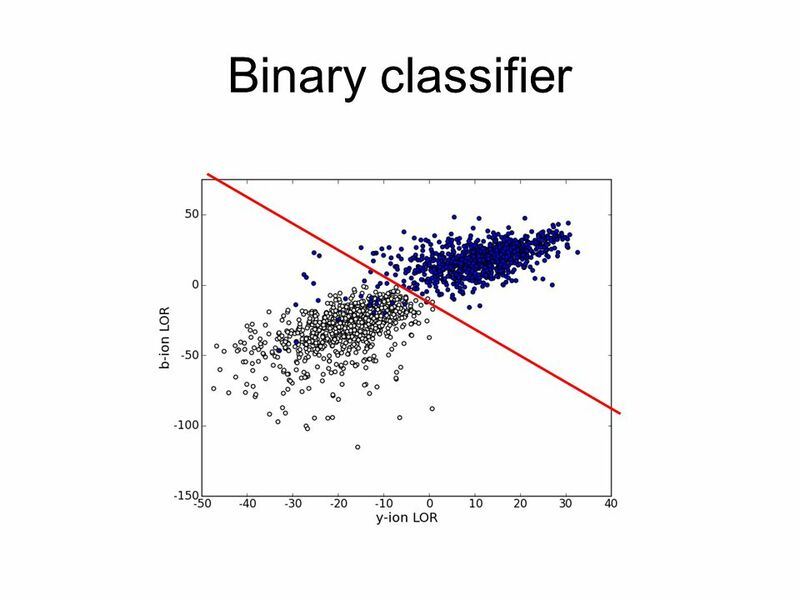 Generate a better (larger, more accurate) gold standard data set. 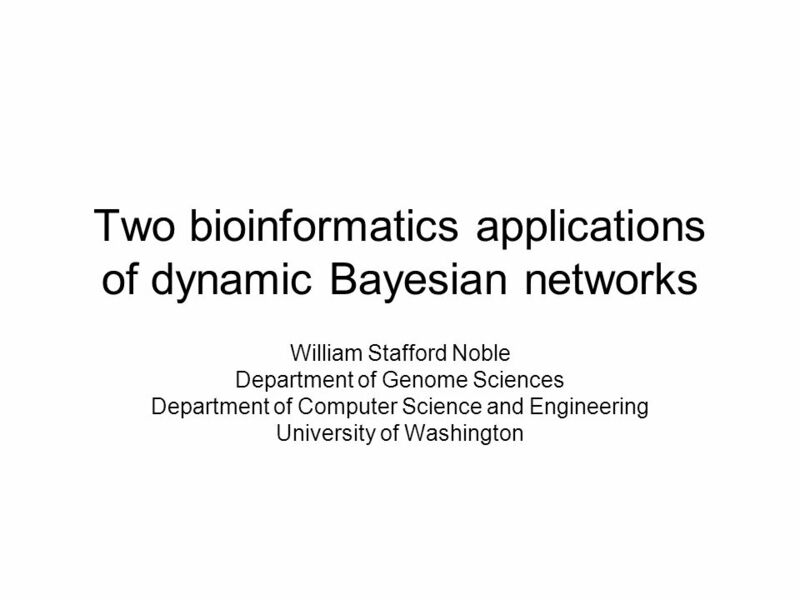 Download ppt "Two bioinformatics applications of dynamic Bayesian networks"
Probabilistic models Haixu Tang School of Informatics. 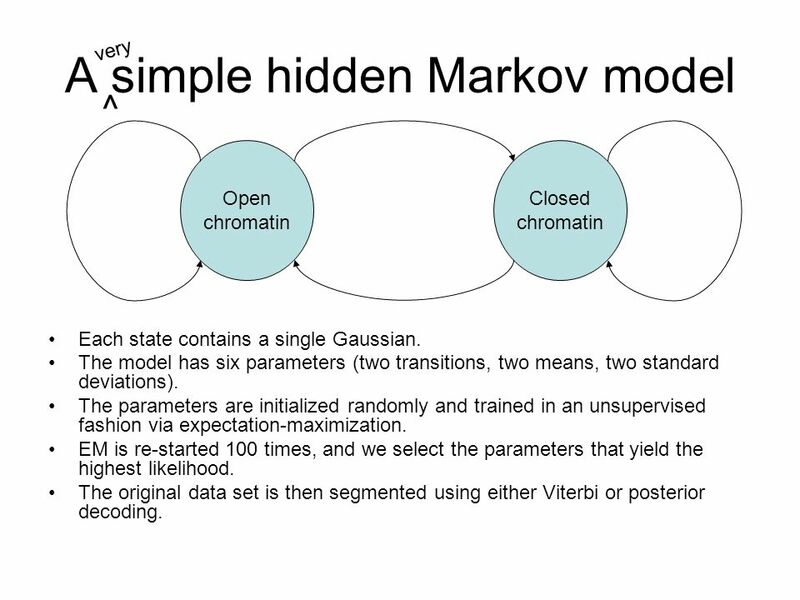 Hidden Markov Models (1)  Brief review of discrete time finite Markov Chain  Hidden Markov Model  Examples of HMM in Bioinformatics  Estimations Basic. 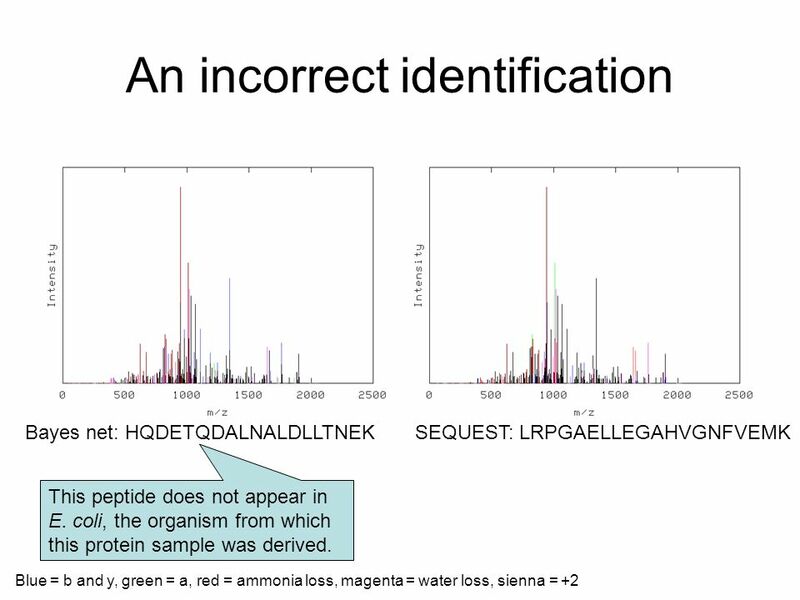 Bioinformatics Motif Detection Revised 27/10/06. 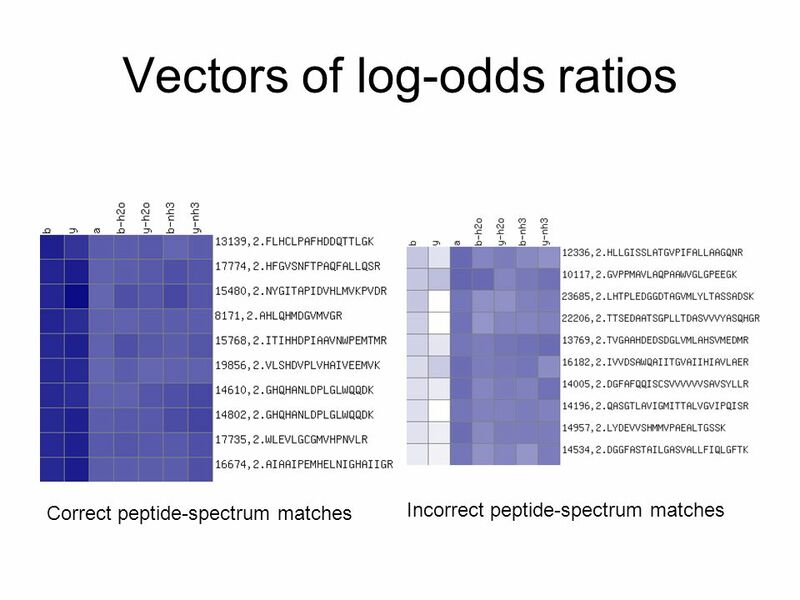 Overview Introduction Multiple Alignments Multiple alignment based on HMM Motif Finding –Motif representation. 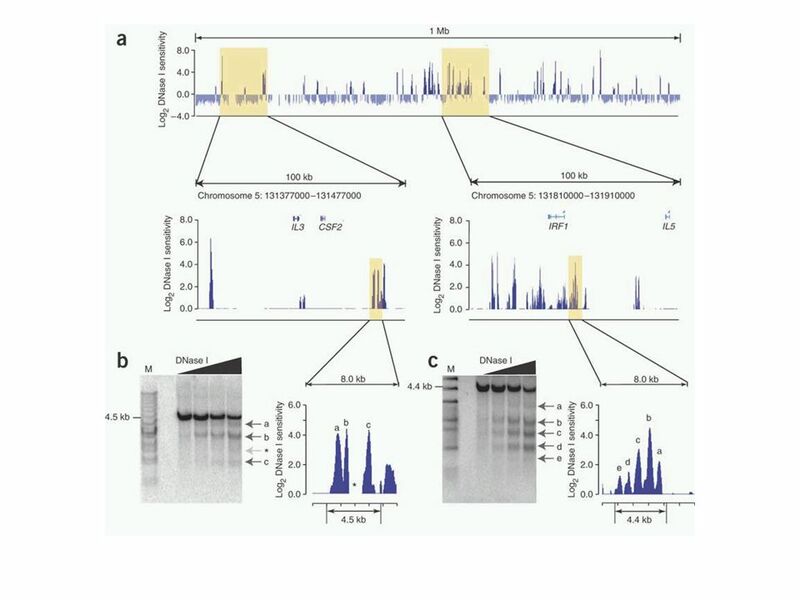 Finding Transcription Factor Binding Sites BNFO 602/691 Biological Sequence Analysis Mark Reimers, VIPBG. 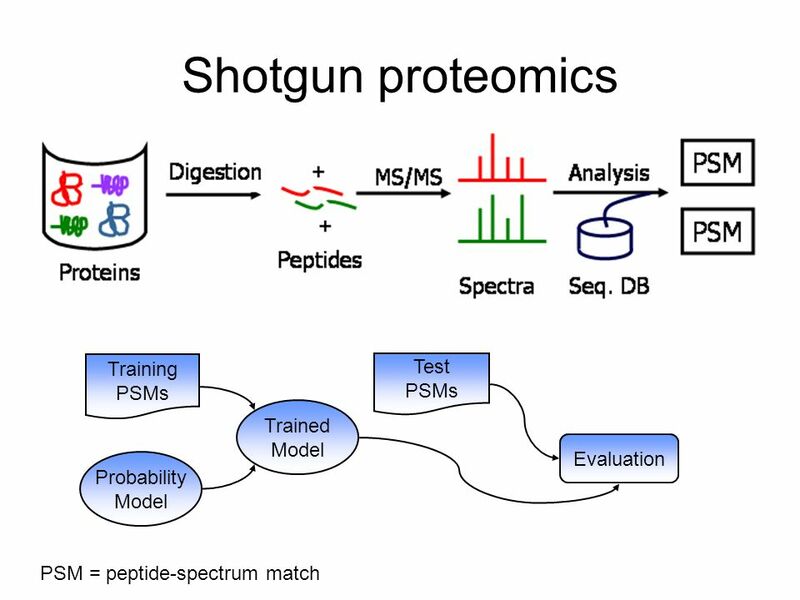 Consistent probabilistic outputs for protein function prediction William Stafford Noble Department of Genome Sciences Department of Computer Science and. 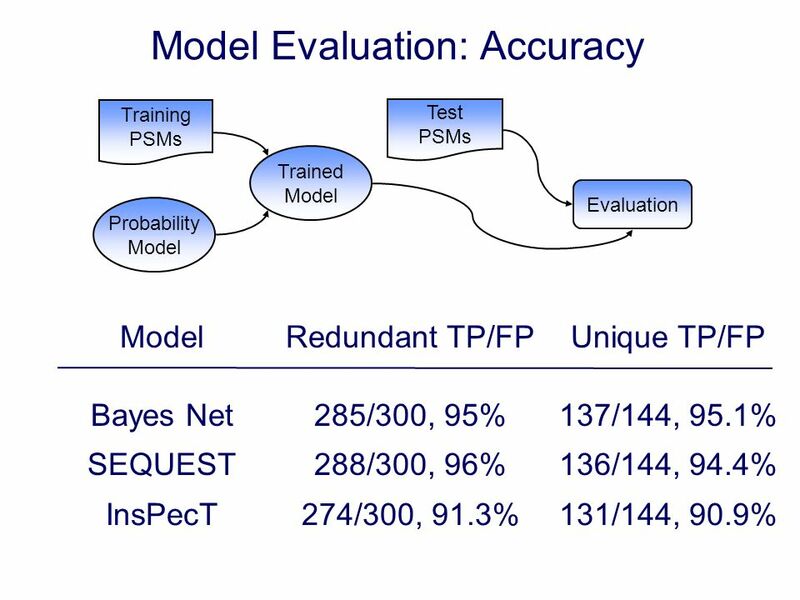 1 Learning Dynamic Models from Unsequenced Data Jeff Schneider School of Computer Science Carnegie Mellon University joint work with Tzu-Kuo Huang, Le. Profile Hidden Markov Models Bioinformatics Fall-2004 Dr Webb Miller and Dr Claude Depamphilis Dhiraj Joshi Department of Computer Science and Engineering. درس بیوانفورماتیک December 2013 مدل ‌ مخفی مارکوف و تعمیم ‌ های آن به نام خدا. 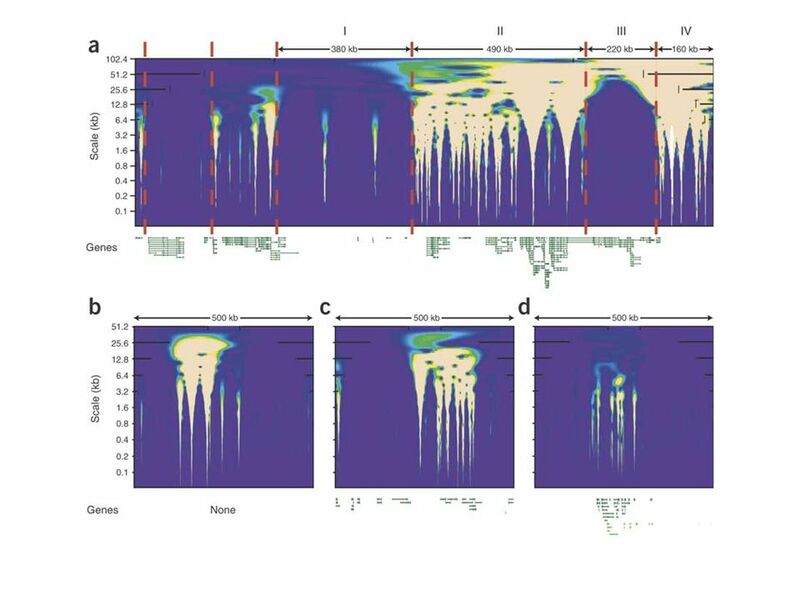 Yanxin Shi 1, Fan Guo 1, Wei Wu 2, Eric P. Xing 1 GIMscan: A New Statistical Method for Analyzing Whole-Genome Array CGH Data RECOMB 2007 Presentation. 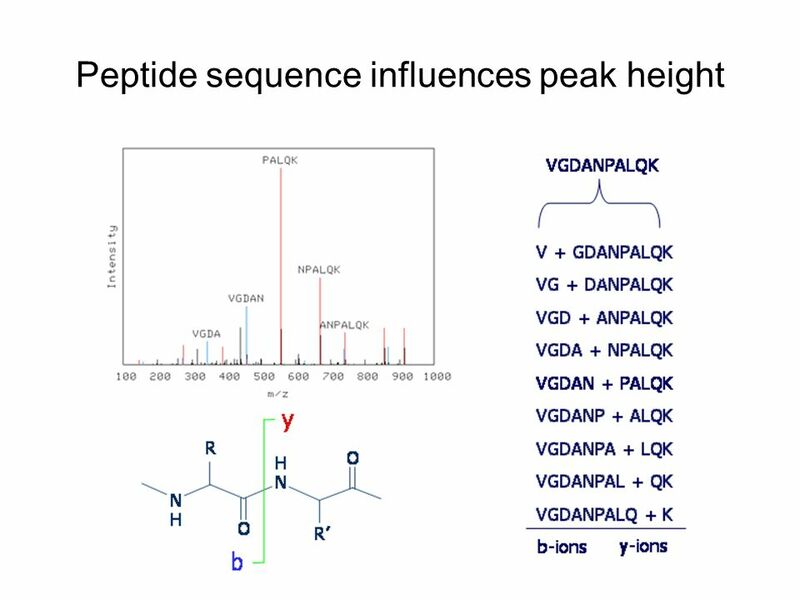 Peptide Identification by Tandem Mass Spectrometry Behshad Behzadi April 2005. 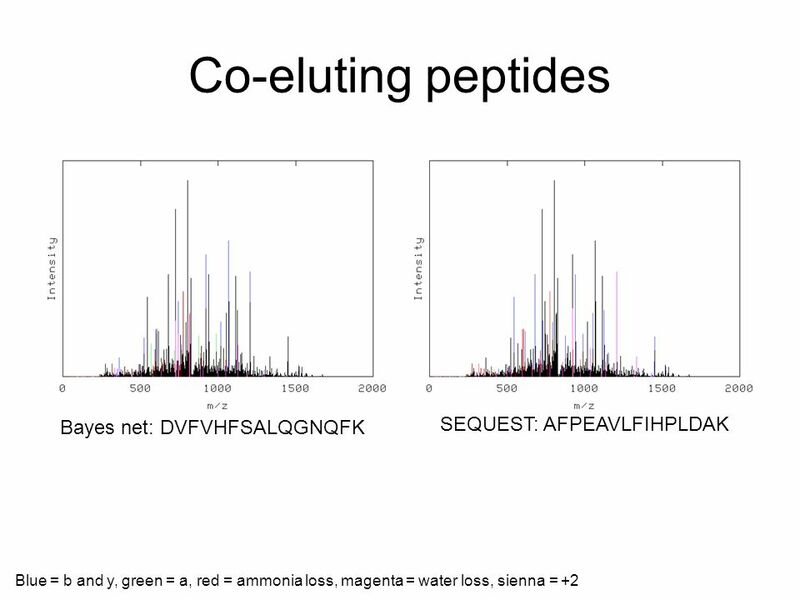 Cs726 Modeling regulatory networks in cells using Bayesian networks Golan Yona Department of Computer Science Cornell University. Learning, Uncertainty, and Information Big Ideas November 8, 2004. 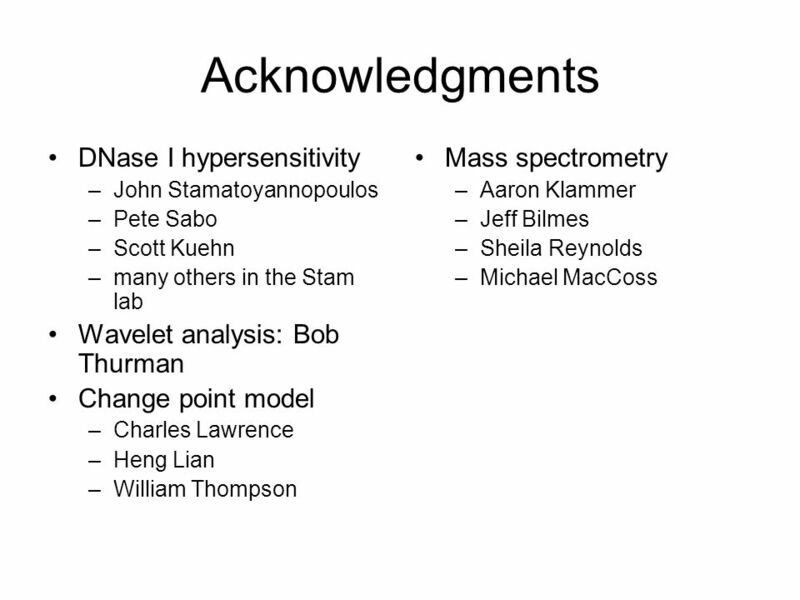 The Human Transcription Factor Proteome Andrew Stergachis Stamatoyannopoulos Lab Dept. 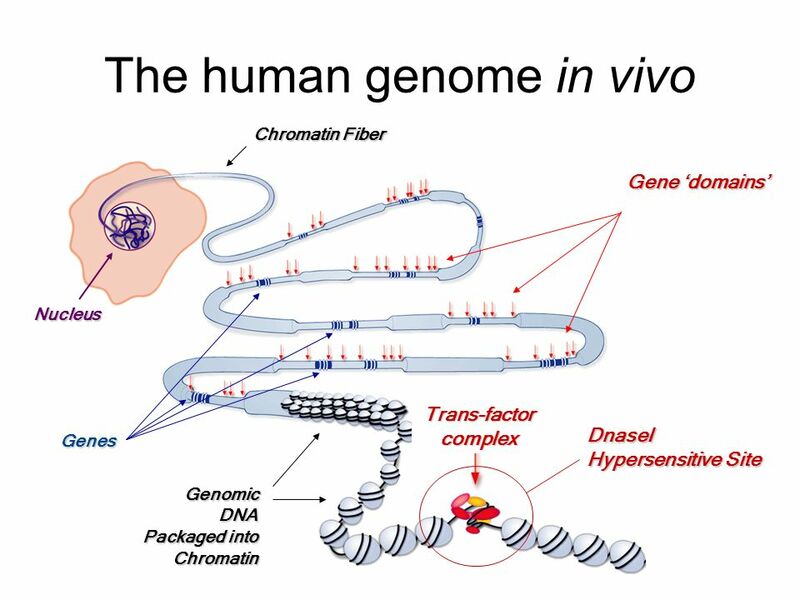 of Genome Sciences University of Washington.